Every year, about 64,000 teenagers undergo plastic surgery. 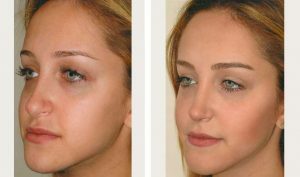 Teen rhinoplasty remains the most popular cosmetic surgery for patients ages 13-19. “Personally I love doing teen rhinoplasties,” says Dr. Thomas W. Loeb, a NYC plastic surgeon with offices in Manhattan and Great Neck on Long Island. 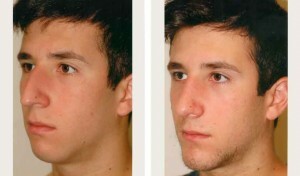 “Rhinoplasty changes teenagers’ lives, and how they feel about themselves… it’s exciting to be a part of that growth in self-esteem,” he adds. Changing Your Teenager's Life with Rhinoplasty Dr. Thomas Loeb, board certified plastic surgeon and authority on rhinoplasty, shows several examples of how rhinoplasty can change a teenager's life. The best way to know if a plastic surgeon is right for you or your child is to visit a prospective surgeon’s office for a no-obligation consultation to explore the possibilities. Dr. Loeb’s office is equipped with advanced computer software that can show you what results might be achieved. He is also happy to show you the “before and after” photographs of actual work he has done. 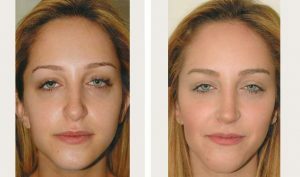 Their research concluded that “Plastic surgery to correct a truly unattractive feature is enormously successful and remarkably free of conflict in this population.” Following the procedures, teens undergo a “rapid reorganization of their self-image,” the scientists noted, with positive changes in behavior and interpersonal interactions. 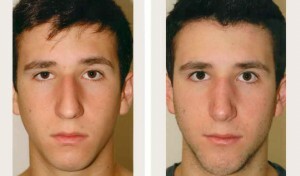 Teen Rhinoplasty Patient Testimonial A recent teen rhinoplasty success story. This young lady recounts her positive experience with Dr. Loeb and his staff, and discusses some of the details of her surgery. What Is The Ideal Age For A Teen Nose Job? Dr. Loeb has consulted with teenagers as young as 13, but he recommends waiting until the nose has reached at least 90% of its adult size – usually around age 14 or 15 for girls and 16 for boys. “There are more extreme cases where it’s obvious there is something structurally wrong that requires correction,” Dr. Loeb explains. For some students, it makes sense to have the work done in the summer before high school to receive a truly fresh start with a new group of classmates. “I will never steer a patient to surgery if I’m not 100% confident we’ll have success,” Dr. Loeb adds. Should Teenagers Have Rhinoplasty Done? Emotional maturity is a crucial consideration for patient selection, particularly among teenagers. There is a lot of pressure due to social media and misconceptions that cosmetic surgery is an overnight fix for all life’s problems. Dr. Loeb makes sure all patients understand the risks involved, and questions them to understand the underlying motivations for wanting rhinoplasty, so patients have realistic expectations about the procedure. In some cases, patients may be referred for psychological evaluations prior to receiving clearance for rhinoplasty. “It’s better to err on the side of caution than to have someone come back years later with regrets,” Dr. Loeb clarifies. There are various techniques used to correct a patient’s nose, which Dr. Loeb will discuss in great detail prior to the surgery date. Most procedures can be done on an outpatient basis under local or general anesthesia. Incisions are typically made inside the nostrils to avoid scarring. Patients who need a cartilage graft may require incisions around the base of the nose that can easily be hidden in the natural folds of the nose. Tiny cameras and precise micro instrumentation is inserted in through the nostrils to remove bony humps and excess cartilage, or reposition and reshape cartilage and bone. A patients’ own cartilage may be added to support the structure of the new nose. As with any surgery, there are risks of adverse bleeding, infection, and allergic reaction to anesthesia. Patients may experience some numbness, nosebleeds, burst capillaries, swelling, and bruising during the recovery period. In rare instances, permanent nerve damage or the need for a subsequent operation are possible. Revisions are not typically done prior to the one-year anniversary of the original surgery. As an experienced board-certified plastic surgeon known for his skillful rhinoplasties in particular, Dr. Loeb possesses experience in revision surgeries in patients who have gone elsewhere for their rhinoplasties and ended up dissatisfied. Once the procedure is done, the small openings are closed and light nasal packing is put into the nostrils, which should remain in place until the following day. An external cast splint is left on for approximately one week to protect the healing structures. Most people do not report significant pain after a nose job. The first week of recovery has been compared to “having a mild cold.” It may take some time to adjust to breathing through the mouth. Fatigue from the anesthesia and the healing process is common for the first few days. Patients can expect significant bruising and swelling around the eyes for at least the first four to five days – or, in some cases, for up to two weeks. It is important to rest in an upright position to minimize swelling. Cold compresses may help reduce inflammation and discomfort. Most teens are able to return to school and/or work after two weeks of rhinoplasty recovery. Most people are satisfied with the look of their new noses at the two-month mark, but it could take up to a year for the final “clinical” results to be evident. Contact the office of Dr. Thomas W. Loeb, MD to schedule a consultation.